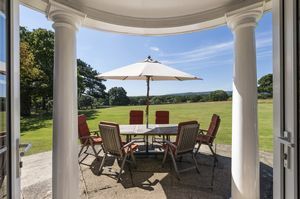 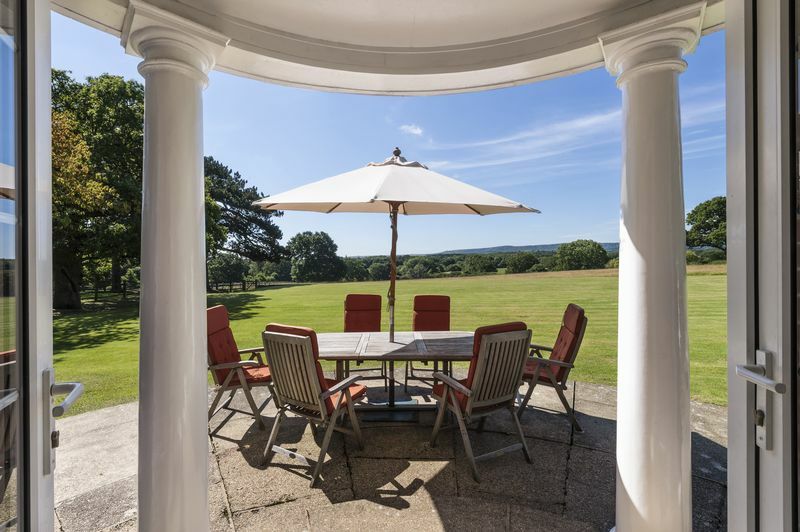 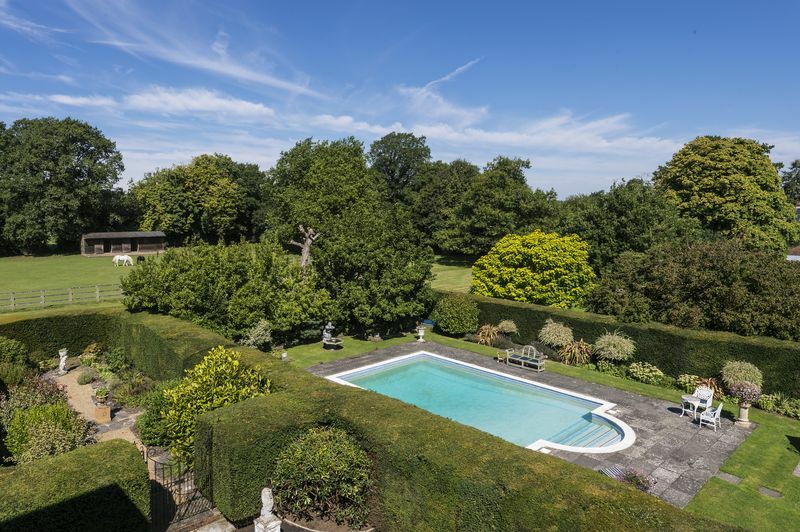 In a truly commanding position overlooking some of the finest views in Sussex, Batts is situated at the edge of the sought-after small village of Ashurst, near to the South Downs National Park. 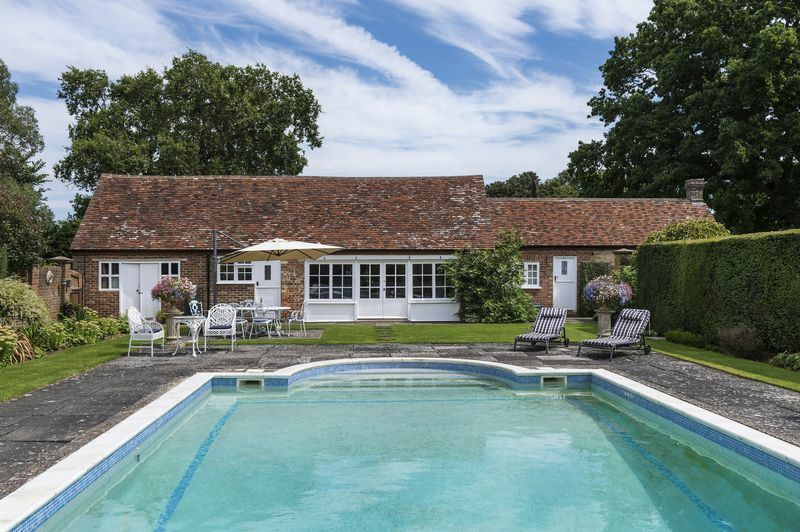 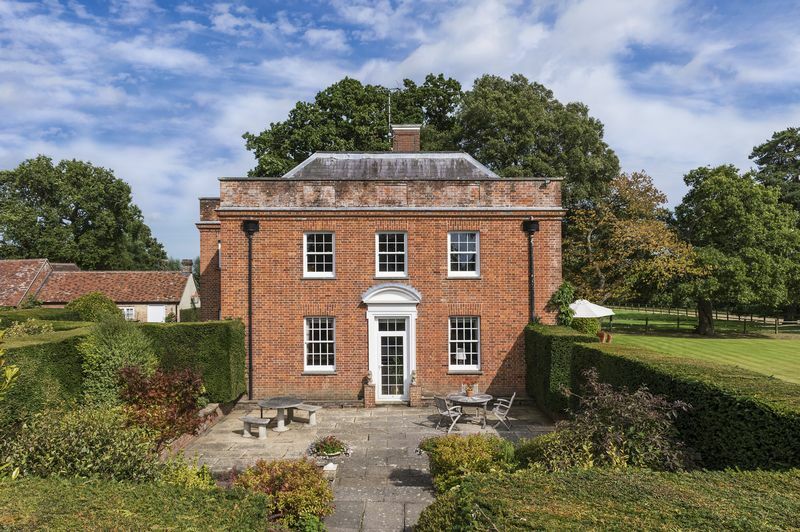 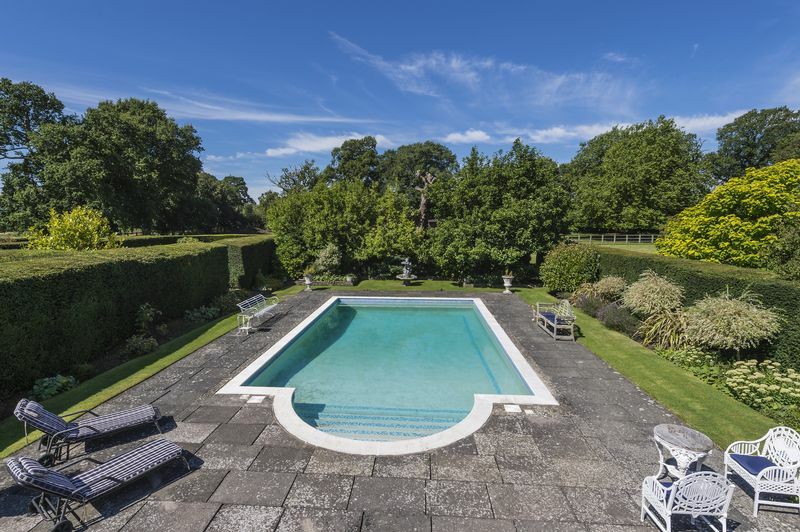 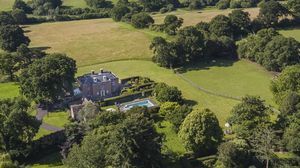 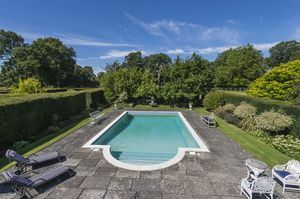 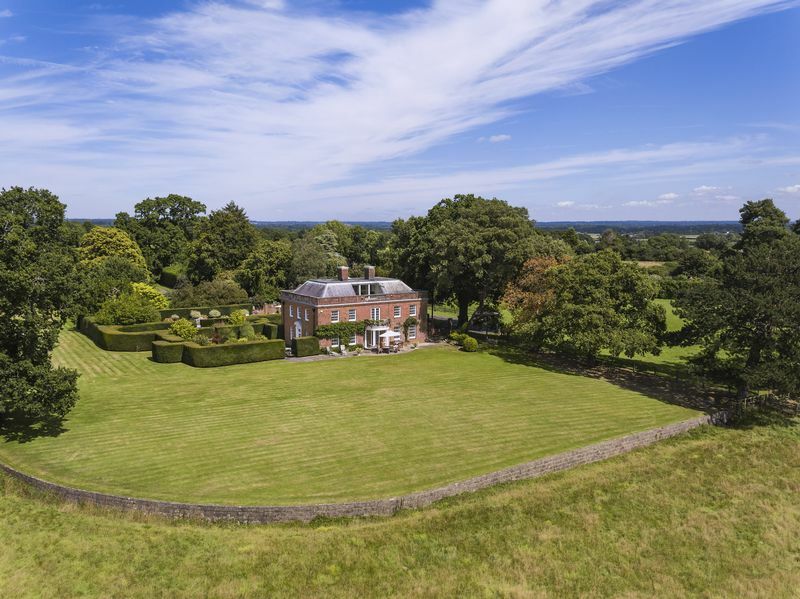 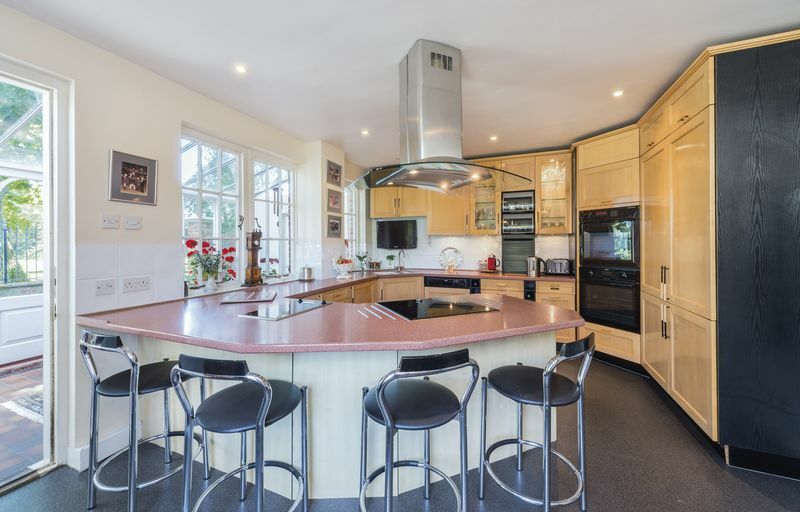 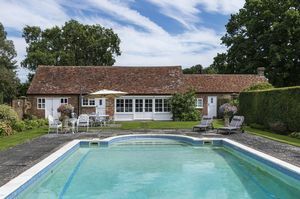 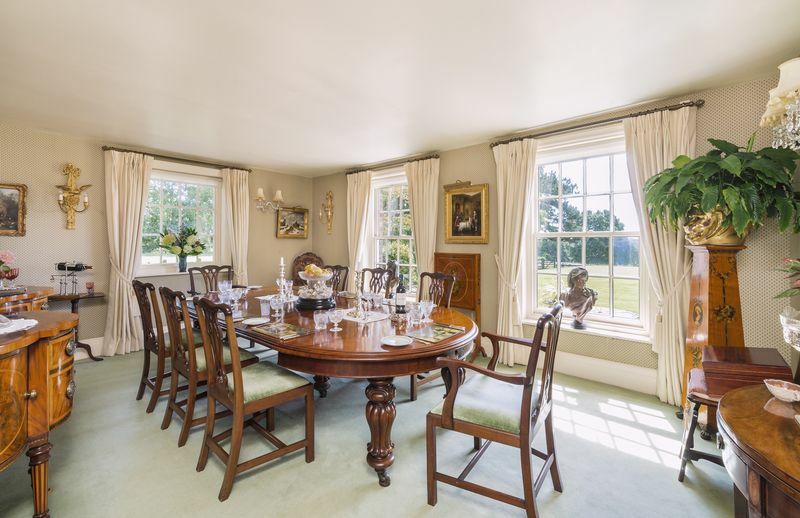 Batts is a particularly fine country house of classic proportions which, under the careful supervision of the architect, David Russell, was constructed in the 1960’s on the site of an 18th century farmhouse. 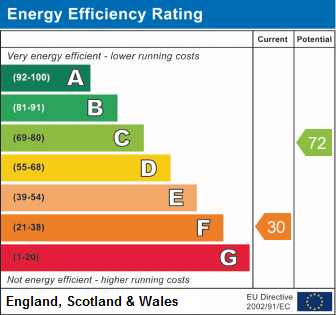 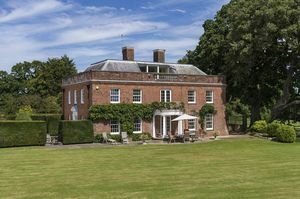 The symmetrical red brick elevations are relieved by sash windows and the parapet walling conceals secluded roof terraces from which there are magnificent views. 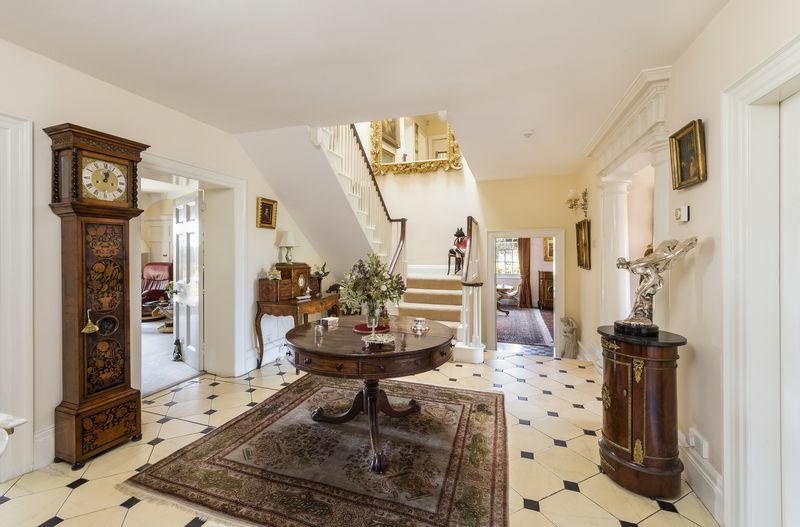 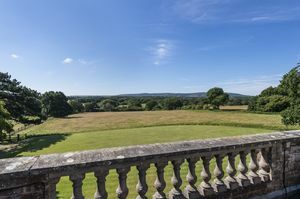 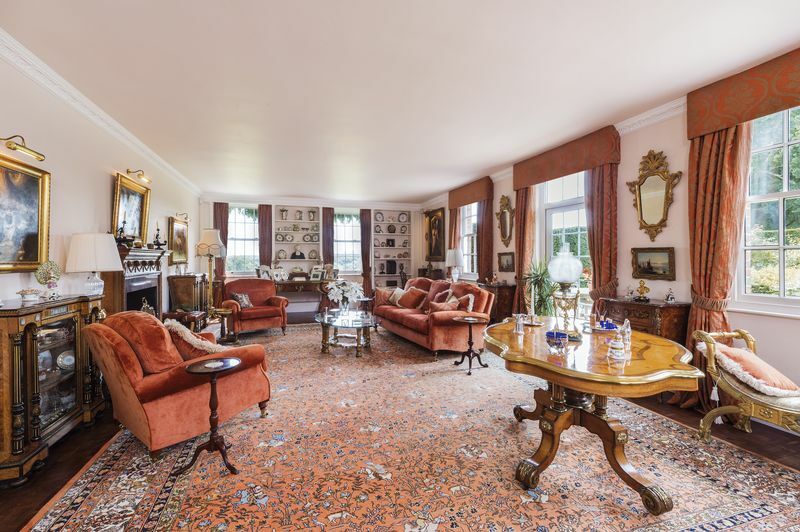 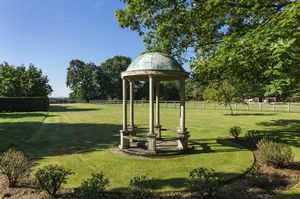 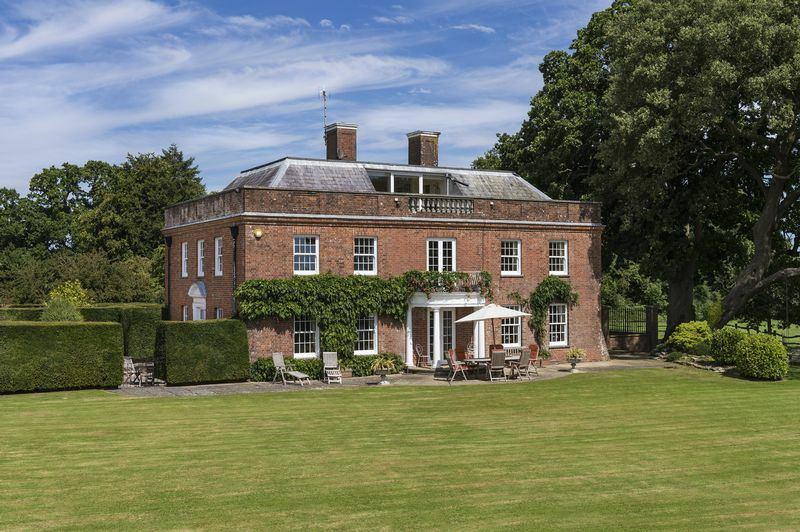 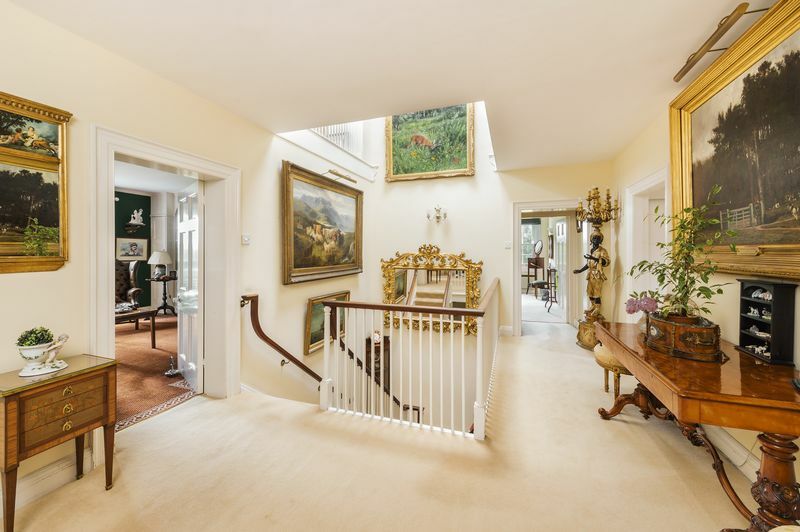 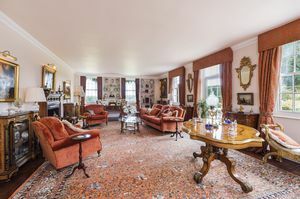 On the ground floor and opening from the galleried reception hall are three reception rooms comprising a fine triple aspect drawing room, Dining room and Study/sitting room, all with views over the beautiful gardens and grounds. 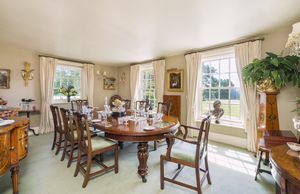 The kitchen/breakfast room is well appointed and beyond is an east facing conservatory. 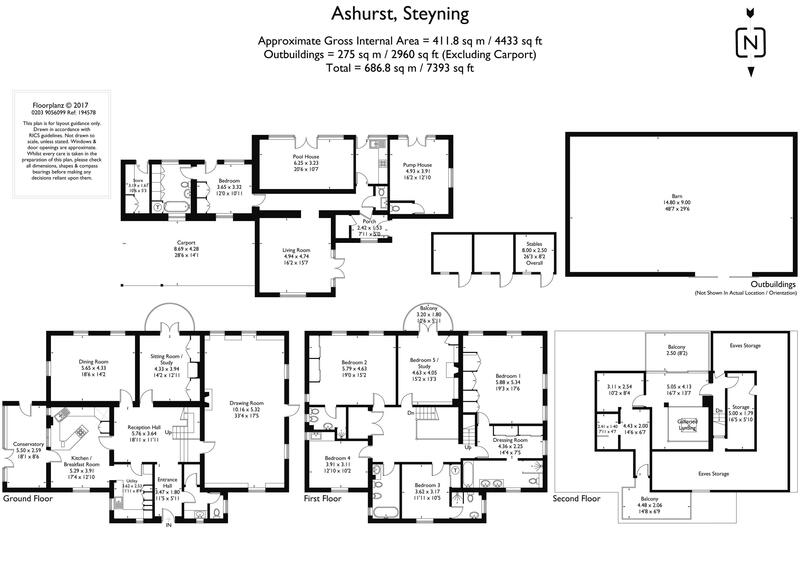 On the first floor and accessed from the galleried landing are 5 bedrooms and 4 bath/shower rooms including 3 suites. 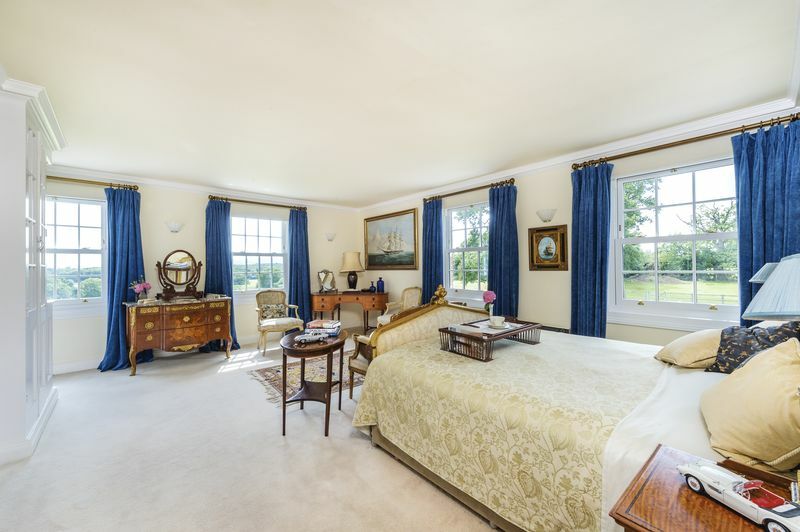 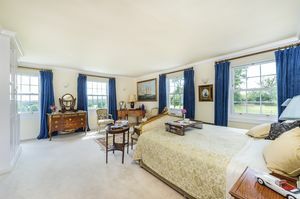 The fifth bedroom is presently a delightful first floor sitting room with double doors opening to a balcony. A staircase rises to the second floor which is divided to provide sitting areas/potential bedrooms and there are doors to both south and north facing terraces.